With all due respect to Tolstoy and his classic, I disagree with that. Although details of interactions and incidents are undoubtedly unique, I suspect that unhappy families share a common set of traits, and happy ones have adapted those traits to be more resilient. I also believe that happy families and unhappy families are generally the same families, but just in different places in terms of length of relationship, stages of life, external pressures, internal crises, and plain dumb luck. One likes to think that it’s the strength of the underlying love in a relationship that makes it work. But more likely, the difference between being happy and unhappy at any given point depends upon how willing and able each is to set their own points of views aside so that they can shift roles, patterns and perspectives. Come to think of it, maybe the willingness and ability to set one’s perspective aside for the other is what love is, as opposed to infatuation or a need for comfort and security. I’ll leave that for others to ponder, and try to get this book review closer to actually addressing the book. 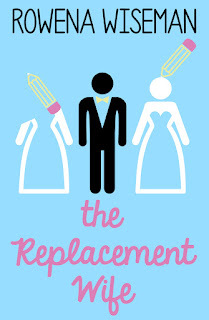 Without consciously deciding to, I’ve read several books this year involving unhappy marriages, and have been a supportive listener (I hope) to several friends facing breakups of long-term relationships. 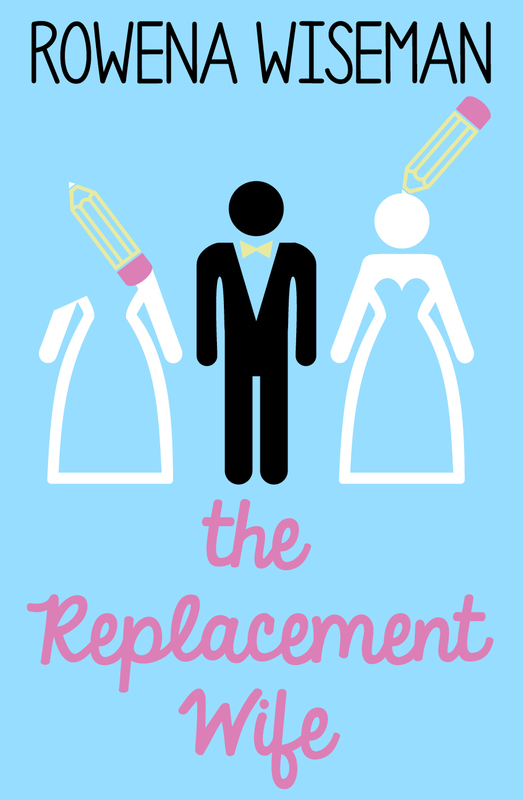 What I’ve taken from all of them is admirably illustrated in The Replacement Wife: when we are describing our roles in long-term relationships that are at their make/break points, we are unreliable. No matter how good we are in other points and crises of our lives, this need to fracture off a deeply integrated part of our identity makes us choose between facing ourselves and shortcomings, or finding ways to project them onto the other person. And if we feel guilty about the latter, we try to assuage our guilt at the unconscious character assassination by trying to find a way to let our conscience off the hook. I’ve read Wiseman’s Searching for Von Honningsbergs and Bequest, so I guessed from the beginning that the way the characters were rendered was deliberate. Wiseman likely is conveying what I was bumbling through in my introductory paragraphs. Luisa is trying to be a good person in her own way, but she’s seriously flawed. She lacks self-awareness of what’s happening within her, and she treats others the way she feels they should be treated, but without checking with them to see if it’s really what they want. She leaps into plans and actions based on her flawed ideas without attempting to check them for validity, or even to be fair to them. She’s not evil in the sense that she’s trying to be deliberately cruel as she disrupts lives, but one struggles to like her. And that, I think, is the point. She wants to be what she sees as a noble heroine in this conundrum she’s in, but the fact that she’s in the conundrum is likely due to the same lack of perspective and respect that she’s using to get out of it. I think it plausible that any of us in long-term relationships that have become a core part of our lives and sense of self have, at one time or another, become unreliable narrators of that relationship when describing it to others (or even to ourselves). We flatten out or expand the other’s personality depending upon how happy or hurt we are by them. If we’re fair and resilient, we work through it. If we can’t, if the Other in our relationship story is seen negatively, it’s a pretty safe bet that the relationship is in trouble and if we’re responsible, we’d start with ourselves to see our role in the downhill dance. Luisa is meant to represent what happens when we don’t want to face ourselves, and would rather pursue the wild thoughts that most of us have had from time to time to simply get out. This means, keeping the blame and flaws on the other, and dreaming up exit strategies. And so Luke, Luisa’s husband, becomes a gray sweatpants-wearing bland entity in front of the TV when she calls him to mind. And instead of using her present unhappiness to think about going in a new direction in terms of career, or taking a risk of writing herself or something else creative, or using her restlessness with her present life to find out where her own happiness and the world’s needs intersect to redirect her energy to something that might make a positive difference, she decides to find another wife for her husband so that the marriage can end, and she can pursue her sculptor and live out her desire for an artistic life through his work. One wonders why she has such energy to manage the lives of others when the goal is really to be a passive and vicarious supporter of work she doesn’t even like. This is the genius of Wiseman, giving us sly hints without seeming to take the narration away from Luisa. There are several points in the book where author and reader can give winks, nods, and nudges to each other beyond Luisa’s frenetic delusions. I see that some early reviewers didn’t like the book because Luisa’s actions frustrated them and the other characters didn’t seem much better. I shared that frustration with them, but I think I liked this book better than others that deal with unreliable narrators because I could tell from Wiseman’s subtle tips of the hand that a larger cautionary tale was unfolding. And indeed, it did. I don’t want to make it seem like this is a heavy Anna Karenina kind of read. It’s not, though some of the themes and elements are similar. For all of the seriousness of the topics, it reads fast and the writing is good. This is not a story where you can expect to bond with the characters or cheer their decisions. Luisa keeps a distance between us and those in her life that she wants to discount, but there’s still occasionally the opportunity to smile and sympathize here and there. I would recommend this book most for those who are feeling frustrated in a relationship. If you can sympathize with her need to exit stage left with the least amount of collateral damage, but understand the impossibility of this in real life, this may well be a nice vicarious escape. Likewise, if you can appreciate cautionary tales where the protagonist’s crisis is linked to his/her own hubris and must deal with logical consequences of it, it’s a nicely done modern reworking of that.